Don’t settle for using two different sources for your tradeshow program. We do both. Since 1970, we have helped thousands of organizations market their image through trade shows and permanent environments. 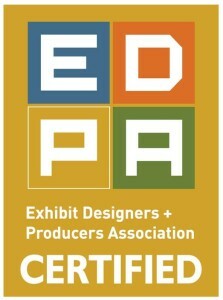 sold worldwide through Authorized ExpoDisplays Distributors, a network of exhibit professionals.